Love these guys! I’ve only seen one once in their winter colors. Great capture of detail in the white and nice comp. I can’t tell for sures on iPad, but focus may be a bit soft on eyes/head. Edit: Sorry about prior comments about focus. Looks fine on desktop. iPad tends to be a bit deceiving when the screen is magnified. Last edited by SantaFeJoe on Wed Nov 21, 2018 11:43 pm, edited 1 time in total. Super capture! What a great open view you got. Super exposure to capture such great detail in the whites! Living in Australia I have never seen one of these in the wild. What a great capture. Beautiful capture of this beauty in its winter coat, Paul. Excellent detail from nose to tail and such a lovely alert pose. Well done! Beautiful shot-full body and wonderful pose- a rare find in my book! Outstanding image of this cutie. Looks sharp on my laptop. Great control of the whites. Pose is super. I have never seen one of these in the wild. Thanks for sharing. 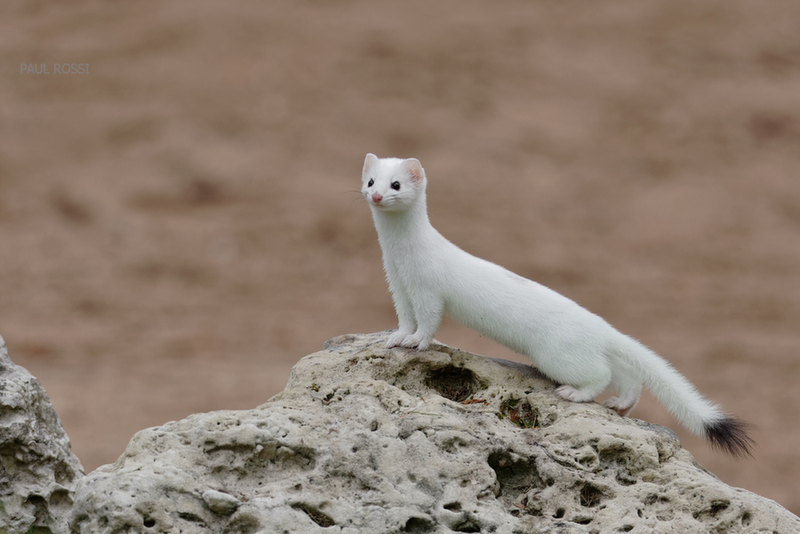 Excellent exposure on the white Ermine — well done, Paul. Paul, what a delight to view - superb full-length pose, angling up perfectly on on that interesting promontory. Gorgeous creature, wonderfully captured! Wow, what a treat to see one of these and capture it in such a lovely pose and setting. Beautiful! In my experience, seeing the whole animal is truly amazing. Usually get just a glimpse of the head or the tail! Great shot, with a wonderful pose ; well done Paul.